Last week I posted that all official Bodhi announcements are going to be posted directly on the Bodhi site from now on. Today I am here to say that while blogger was a great starting platform for me to get started writing with, I am moving on. Starting today all of my other technology ramblings will be hosted on my new blog Enlightenment through Open Source. Starting with my first post Creating a Community: Getting Started. This site here will now be utilized for my personal ramblings about technology and things outside of Linux / Open Source. Since the start of the Bodhi project all news related to it has been posted on this blogger site. This is just a quick note that all official Bodhi announcements will be hosted on the Bodhi Linux blog page moving forward. This is a long overdue change as this blog here was always intended for my personal technology related things and Bodhi has become so much more than just a project of my own over the years. Just wanted to let folks know in case they were subscribed to this page purely for Bodhi news. Moving forward it will be strictly postings about my smaller projects (like ePad) and random thoughts on other things related to technology. I have been working on a number of small tools for the up coming Bodhi Linux 3.0.0 release (find the latest release candidate here) and one than I am working hard to get up to snuff is our text editor ePad. Previous versions of Bodhi Linux has always included the GTK text editor Leafpad by default so my initial release of ePad has the goal of simply covering the same features as Leafpad at the bare minimum. For those who are unaware the Enlightenment Foundation Libraries and Elementary are the tools that power the Enlightenment desktop and a growing number of other applications. To learn more about getting started with Elementary and python you should check out the full API reference here, the examples on git, or stop by #e.py on Freenode. I have been working on a number of small applications using Elementary. While building these applications I found myself reusing a few of the same gadgets in different places, so I had the idea others might find some of them useful as well. 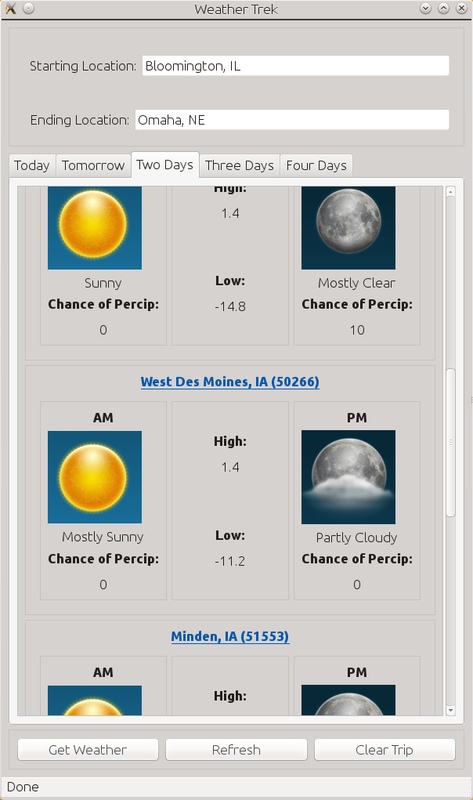 This first object is similar to a "spreedsheet" or "tree" type widget. It creates a list of objects that are sortable by clicking on the header for a given column. The elements in the widget can be any Elementary object. This widget is a very basic terminal. Accepts text input/out and runs the command entered in the input line when execute is pressed. More complex things such as ncurses applications will not work. Creates a standardized information window for your application that is easy to fill in with your own information. 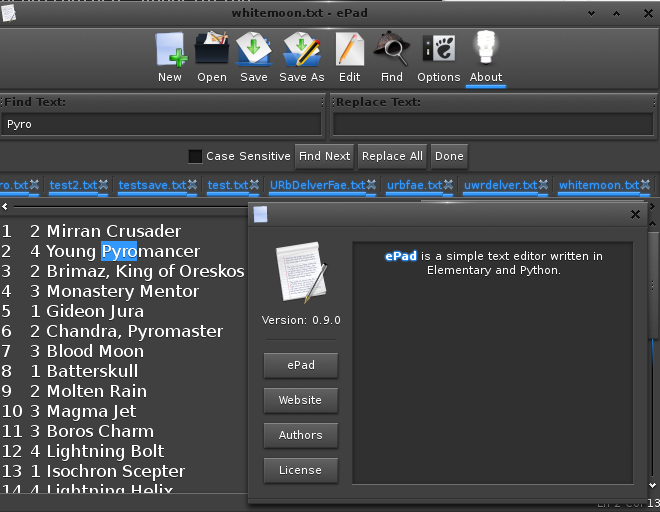 Now I am sure some people will be slightly confused because there already exists a file selector widget in elementary. The problem is that the default file selector is minimal by design and does not have features such as displaying Bookmarks, sorting the data, or displaying file size. This widget does all of these things. There are examples of how to utilize each of these widgets in the top level of the GitHub repo. If you have any questions about how to utilize these widgets feel free to open a thread in the elementary section of the Bodhi forums. If you encounter any issues please open a bug report on GitHub. If you follow me on GitHub then you likely noticed I have added a few projects in the last few days. One of these projects has been on my TODO list for awhile - cleaning up the old remastersys script I have always used to create the Bodhi Linux ISO images for the last few years. Today I am pleased to announce you can find my fork of remastersys dubbed "BodhiBuider" on GitHub here. If you take the time to peruse the code and have any suggestions for improvement please feel free to share. Just over four months ago I announced that I was stepping down from the active role I had maintained in the Bodhi Linux project since it started a little over four years ago. Today I am happy to share that I am returning in my full capacity as project manager/lead developer and I come bearing gifts! Over the past couple of weeks I have re-familiarized myself with what has been going on in the land of Enlightenment and cleaning up the Bodhi build scripts (which you can find on my GitHub). Today I am pleased to share what I have been referring to as a "Reloaded" version of work on this third major release. To cut right to the chase I would like to share download links for the "Bodhi Linux 3.0.0 RC2 Reloaded" release. 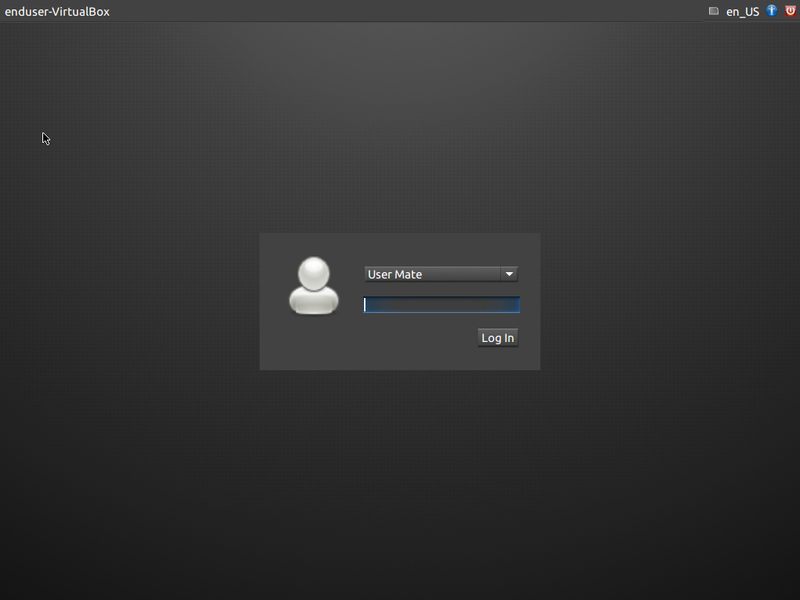 Unlike previous Bodhi Linux releases, the 3.0.0 release will have a more uniform look, instead of requiring the user to choose what the system looks like when it first starts up. This makes setup easier for new users, while Enlightenment still allows power users the configuration options they crave. While I am not calling this a stable release, there is a good chance these images strongly resemble what our stable release will look like when it comes out next month. 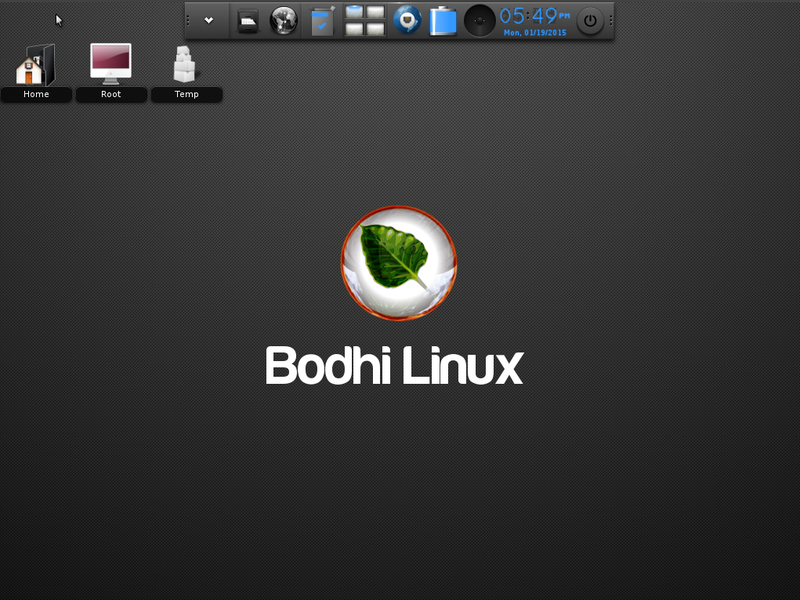 You can get support installing/using Bodhi Linux 3.0.0 RC2 Reloaded in the Bodhi Linux 3 section of our user forums. I would ask that you please do not post requests for support on this blog post as the comments section here is not designed for troubleshooting. 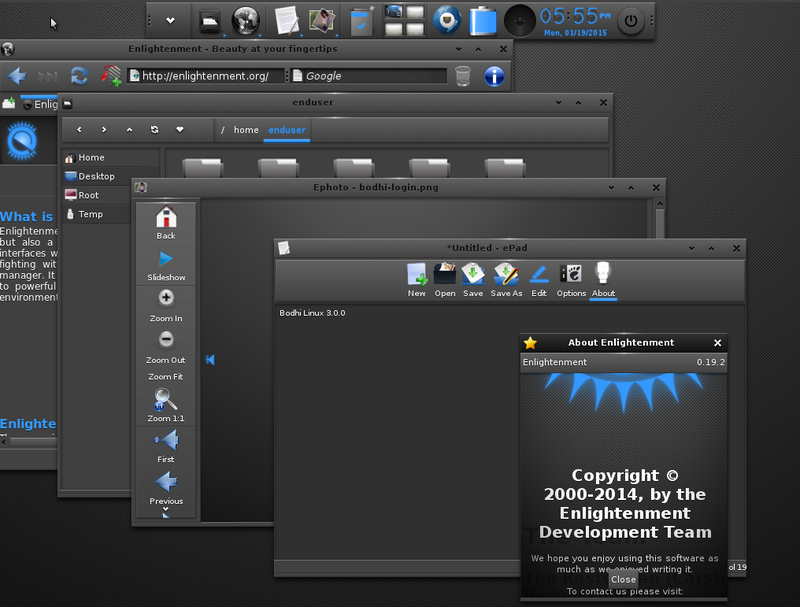 Thanks for giving Bodhi Linux and Enlightenment a try. You might need to restart your X server for the changes to take effect. This fix should work with all Wine variants such as Play on Linux and Crossover. If you are using a non-Ubuntu based distro, you will want to install Mesa version 10.4 or newer. Enjoy your gaming!